If you have younger children doing homework, there is also a version of the site for little kids. Look for the jump at the top right of the page. There you can browse for information by subject, search for articles, and more. If you have questions about using Encyclopedia Britannica online, ask at your local WCCLS library. 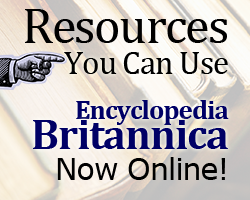 We hope you enjoy exploring all of the useful resources available in Encyclopedia Britannica!